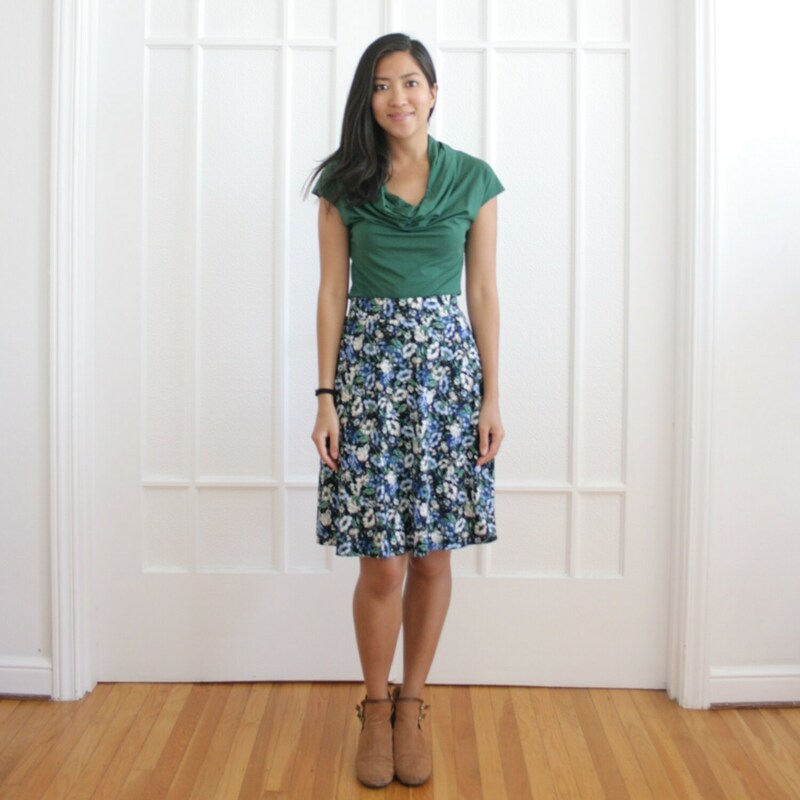 Our Tracy skirt is a flattering yet modest aline jersey skirt. It's easy to dress it up for work or dress down for summer days out. The fabric is also wrinkle resistant so it's great to take on all your travels! It features an elastic waistband and side seam pockets. Looks great with our SARA cowl neck! The pattern isn't my favorite but the quality is nice. The band also folds over easily and shifts so it needs adjusting. Makes me worry a little that it will become an issue. Wish it was sewn in place so this wouldn't happen. 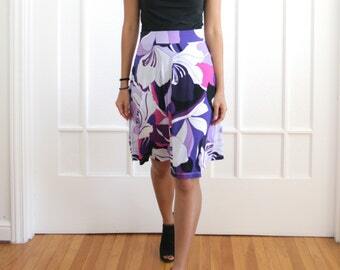 Speedy delivery and love the material this skirt is made from. Very comfortable to wear.